The Di Yerbury Society of Women Writers' UK Residency | The Society of Women Writers NSW Inc. The Society of Women Writers offers a UK Residency to a Female Writer. This residency has been generously donated by our Patron, Professor Di Yerbury. The residency will be located in the beautiful North Devon town of Barnstaple. 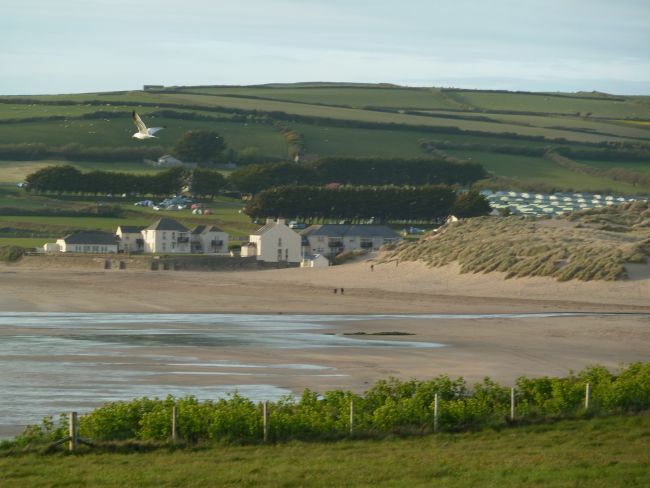 As a major tourist centre, it has excellent public transport and car access to the moors, famous beaches and very pretty villages. Helen will use the residency to undertake research for an historical fiction, currently titled Borrowed Milk. Set in Exeter, Devon in the 17th Century, the story concerns a married woman who is hired as a wet-nurse, to breastfeed and raise the child of a wealthy merchant family. Valerie plans to consolidate preliminary research already undertaken in Devon and Cornwall in 2017, into the history and social fabric of these areas of England. Her focus is on the families that lived in the centuries-old mining communities, with all the dangers and difficulties that entailed. Her story West of Tamar, an historical novel set in the years 1910-1915 - a time of great change - revolves around one West Country family and the society in which the family struggled to survive. The residency supported her writing and research for a novel set in Shakespeare’s London. Be a member of the Society of Women Writers (NSW) for at least ONE YEAR at the time of submitting your application. So make sure you join by end 15 August, 2016 if you are not already a member. Be over 55 years of age at the time of taking up the residency. Be researching or writing a manuscript either fiction or non-fiction that is set in or linked to the United Kingdom. A chapter of a previous book or a short story or an article you have written. A review of one of your books or other publications. The successful applicant will be offered accommodation in a comfortably furnished one bedroom apartment for over 55s in the town of Barnstaple, North Devon for a period of up to three months from June to September. Electricity and phone calls are included as part of the residency. Airfares, including travel insurance, domestic travel costs and meal allowance, will not be covered by the residency. These costs will need to be meet by the recipient for the period of her stay or she should seek funding from other agencies to assist with these expenses. Upon completing the residency the recipient will be required to give an address to the members of the Society of Women Writers (NSW) at an SWW Literary Lunch. Non-members of SWW are welcome to enter after becoming a member however same requirement as above. Concessional membership fee $40 (only available with a Pension card number); once-only joining fee $15.